Got an appetite for hearing from the leading boss women that are calling the shots in the culinary world? Get ready to grub hard on our new#CreateCultivate series: Counter Culture, where we'll be talking to prominent women in the food industry about good eats, food trends, and making it in the cutting edge cooking world. Don't put a fork in it, because we're not close to done. 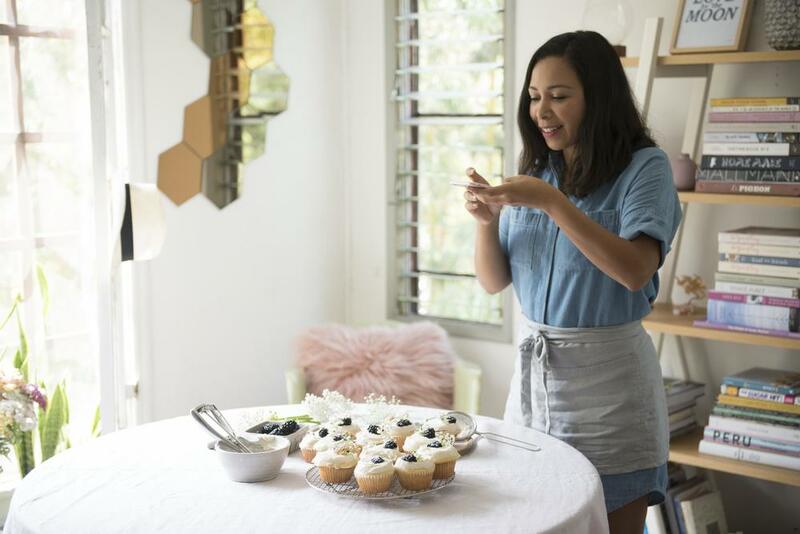 We're watching food blogger Adrianna Adarme of A Cozy Kitchen decorate cupcakes in the gorgeous light of her LA living room. 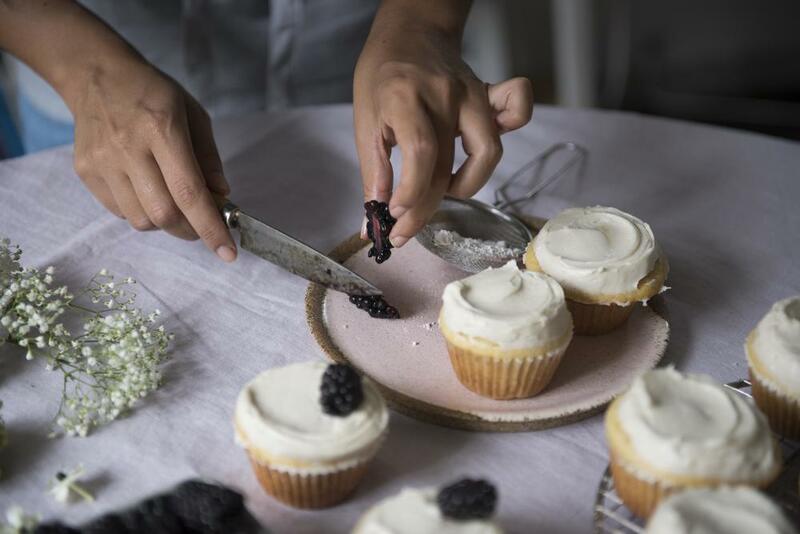 There's a setup of icing, baby's breath, and blackberries. She spreads the icing on the vanilla base, baked earlier, the knife creating perfectly smooth swirls. It's Pinterest heaven. Adrianna didn't set out to be a food blogger. "When I first started my blog," she says, "I was working as a producer at a trailer house. We made trailers and promotional materials for studios. When people hear this they think it’s really fun but in actuality it doesn’t require a ton of creativity." It was a work environment that left her feeling disconnected from art or creative work and searching for something else. "I wasn’t inspired by the films we were promoting nor was I inspired by the content I was creating there. Looking back I think if I was working on films I did love, I might not have ever started my blog." But she did. In 2009 she started A Cozy Kitchen. 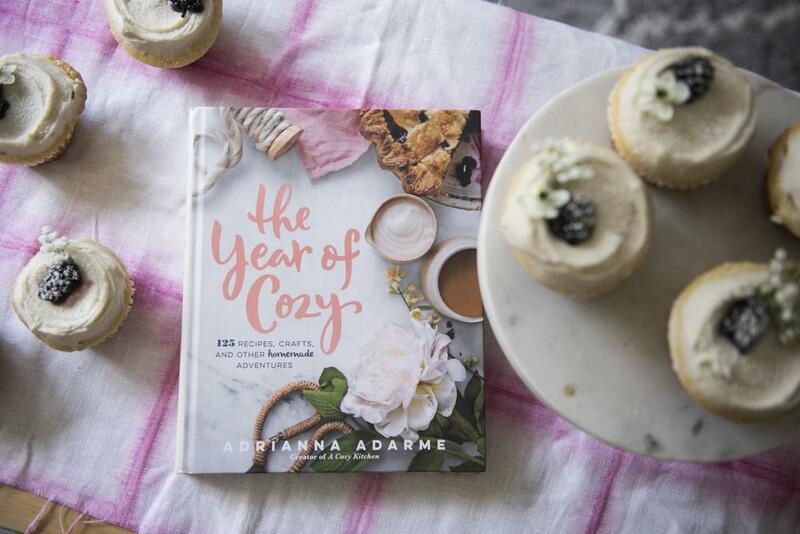 In the fall of 2015 she published The Year of Cozy, her step-by-step book of recipes and projects. She also has a new coloring book A Cozy Coloring Cookbook, designed with illustrator Amber Day, to be released November 2016. It's cozy because it's a grown-up take on comfort food, like pie, the smell of which she says will always bring a smile to her face. 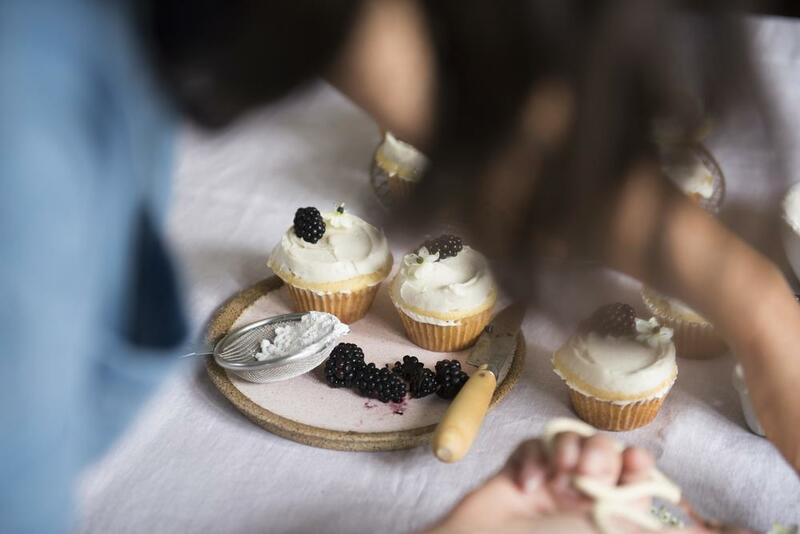 It's a modern-meets-nostalgia approach to cooking and baking that she says is more about a feeling than anything else. "It’s not necessarily one that is in the middle of winter or one that has snow outside of the windows." When I think of a kitchen that's "cozy," she says, "I like to think of it as a warm place you never want to leave. Maybe music is playing, the oven is baking up something awesome, and your dog is at your feet. And maybe it’s right before your friends are coming over. It’s that safe feeling that everything is OK, even though it’s usually not." "Cozy--it’s that safe feeling that everything is OK, even though it’s usually not." Why food? Beyond the obvious of it bringing people together? What special meaning does it hold for you? Unfortunately there isn’t some big story that drew me to food other than just the desire to be creative in my spare time. I majored in filmmaking in college and with film, unlike food, you need a lot of people involved and a ton of resources in order to create the work that’s in your brain. But with food you can sort of just do it by yourself. You don’t need much. I like ceramics for that very reason, too. How did you land on blogging as the answer to a creative void? I arrived at blogging when I was bored at work reading blogs. I found them really entertaining, a great way to procrastinate. So, I started cooking at home a lot more because of them. I really liked that there wasn’t that much production between the person/writer and what you were reading. It felt super immediate and fluid. How much of cooking is instinct and how much is following a recipe? I think that sort of depends what you’re making (laughs). I think cooking is very much about instincts but you don’t really get those instincts until you’ve cooked a lot. I don’t think people are born with those instincts; I do think people are born with good palates but those instincts you speak of are ones that are learned over time. Being a good cook is all about doing and experience, like a lot of other things in life. But that’s ok. I think a lot of people don’t have those instincts yet so that’s why recipes were created. Is there a moment in the kitchen you can remember from your youth that has stuck with you? Not necessarily a moment but more like a feeling. It’s the feeling of how our Sundays felt growing up. Salsa or merengue or jazz was usually playing, and my parents were cooking with my grandfather. My grandfather would usually be lecturing my dad about the importance of “tuco” (which means tomato sauce in Spanish). There were lots of heated arguments about using water vs. chicken broth (laughs). That feeling is a super warm feeling to me when I look back on; it felt safe and comfortable—like a hug. "Salsa or merengue or jazz was usually playing, and my parents were cooking with my grandfather." 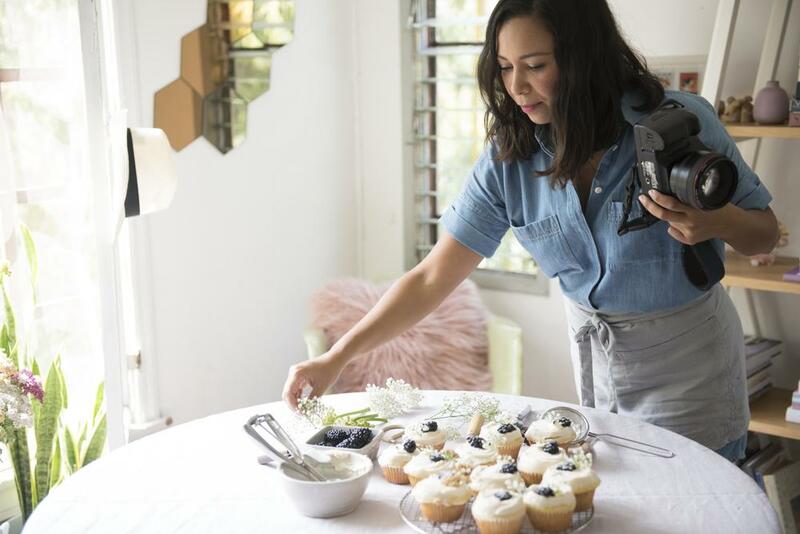 What is your favorite part about being a food blogger? My favorite part about being a food blogger is waking up and being able to cook anything I want. I have a platform that allows me to cook anything I’d like-- and still make money. I mean, that’s a dream. There are challenges in any job but I can tell you that there aren’t that many with food blogging, or at least I don’t think so. What are some unexpected challenges? From creating something from scratch to making sure it’s photographed just right? For me, the biggest challenge is just not being basic and boring. I sometimes think, 'Oh this is just my style,' but sometimes I’m just being boring (laughs). It’s so hard. That’s probably my biggest struggle, just coming up with ideas that I think are worthy of being shared. Do you ever run into a recipe rut? Kind of like writer’s block but with food? Yes, totally. It’s the worst. There are times when I feel like every idea that I can think of is so basic (laughs). During times like that I usually just go on Instagram and look up restaurants that I know are doing really inspiring work. I look at their food on Instagram, try to imagine the flavors together and think of something else completely so I’m not totally ripping them off AND transform it into something real people in real non-professional kitchens can recreate. What do you hope your readers get from A Cozy Kitchen? I hope they get a place that is fun and cozy. I hope it’s a place that inspires them to maybe make something they were slightly intimidated by. I hope that they find something to bake with their friends. I like to think that a lot of my recipes are perfect for that lazy Saturday when you want a project to bake . What’s the long-term goal for A Cozy Kitchen? How do you see your brand expanding— including your book, etc.? I like to tell people that I want to wake up and cook every single day for the rest of my life. How that exactly looks and where my money comes from might change, especially since digital media is always rapidly changing. The large picture isn’t easy to see since no one has really blogged for twenty years. All I know is that I want to keep making and creating food for a really long time. Hopefully people will be interested in what I make for that long. "The large picture isn’t easy to see since no one has really blogged for twenty years." In the fall I’m coming out with a new cookbook. It’s a coloring book called A Cozy Coloring Cookbook. I’m SO excited. It’s full of illustrations of some really simple recipes that are colorful and fun to color. I worked with a really amazing illustrator named Amber Day. She’s ridiculously talented. I like to think of it as hyper-reality. It’s full of sprinkles falling from the sky, a pattern of pizza slices and Amelia (my dog) dreaming about all the things she wishes she could eat. I can’t wait to share it with the world. 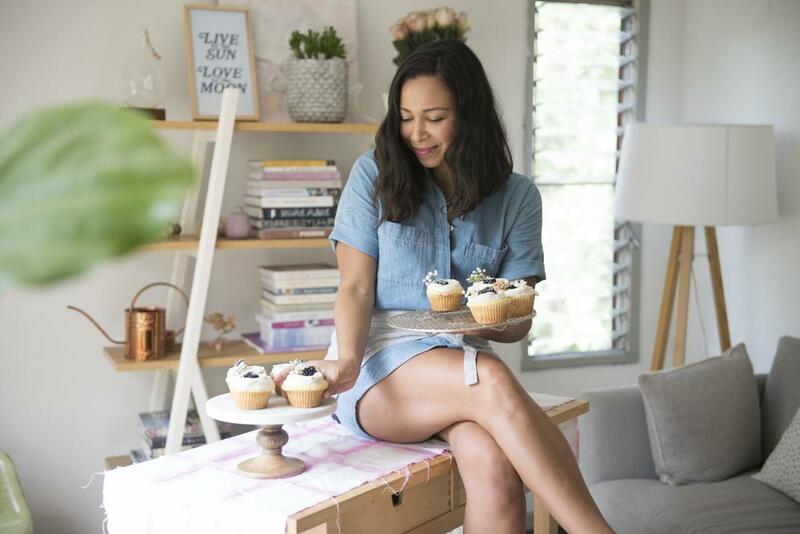 Be sure to catch Adrianna on panel when she joins us for Create & Cultivate ATL. Get your tickets now! !